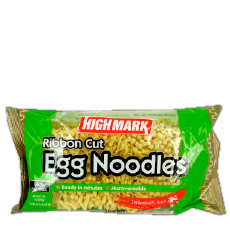 High Mark Egg Noodles. Ready in minutes, microwaveable. 98% fat free.